Southern Data Systems offers a broad range of support for its customers, whether the query is mission-critical or information-related. A support line is staffed from 9:00 a.m. to 5:30 p.m. ET, Monday - Friday, with dedicated specialists. SDS 24/7 professional support team is trained and fluent in the latest technologies and delivers support effectively with deep knowledge, expertise, and unyielding customer service. From desktop to application to system support, we offer a range of cost-effective solutions to fit your business, including Help Desk, and On-Site Support and Training. Support services are also available on a contract basis as well as after hours and weekends for emergency situations that require immediate technical attention. Rely on Southern Data Systems to keep your technology running—at peak performance. Allow us to take care of your network and Computing needs so you can take care of your business. When you call our Help Desk hotline, you are connected to a "live" Help Desk consultant. In many cases, a consultant can help you resolve an issue over the phone, which minimizes on-site emergency calls and reduces your overall support costs. All incoming support requests are logged, tracked, and managed through our Help Desk system which also stores all historic information. Help Desk support is always just a phone-call away. SDS delivers on-site hardware and software support that keeps your business up and running 24/7. We guarantee a maximum response time of one-hour for phone support and/or a maximum of four-hours for on-site support. On-site support includes system upgrades and issue-resolution for desktops (PCs and Macintosh), LANs, WANs, peripherals, printers, scanners, and multimedia. Technology works for you only when you know how to use it. 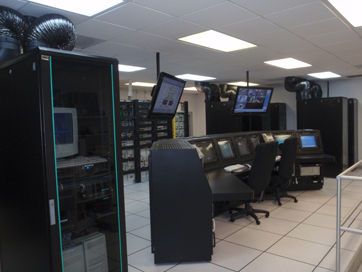 That is why our on-site training begins while we are reconfiguring, augmenting, or designing your system. On-site training gets your staff up to speed fast and keeps them current as your business develops and grows. © 2011 Southern Data Systems, Inc. All Rights Reserved.